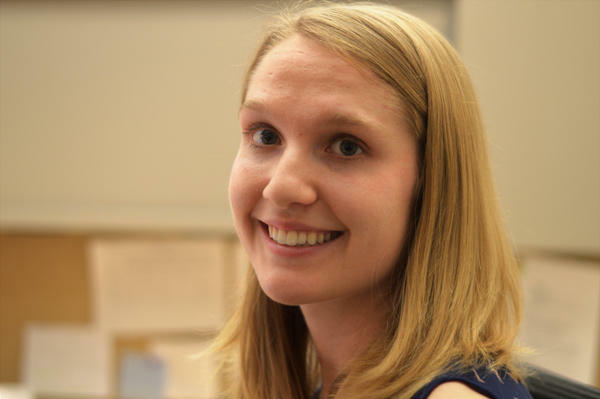 Lindsey Scullen is the director and one of the producers of Stateside, Michigan Radio’s daily news show. She started at the station back in February of 2015 as a web intern for Stateside, went on to intern for The Environment Report, and then returned to Stateside full time in May of 2016. She graduated that year from the University of Michigan where she studied Comparative Literature, Spanish, Environmental Studies, and Complex Systems. She moonlights as a fairly poor, yet resolute, salsa dancer. Will mass transit get another chance in southeast Michigan? Our Issues & Ale conversation: Wednesday, May 9, 6:30-8 p.m. at Fillmore 13 Brewery in Pontiac. Michigan Radio’s Issues & Ale team hit the road again Wednesday night. This time, they stopped at Fillmore 13 Brewery in Pontiac to talk about the future of regional mass transit. Our Issues & Ale conversation: Wednesday, April 4, 2018, 6:30-8 p.m. at Jolly Pumpkin Dexter. Mental illness is an issue that “knows no class, no gender, no race, no geography,” said Joe Linstroth, executive director of Stateside and host of Wednesday night’s Issues & Ale event. 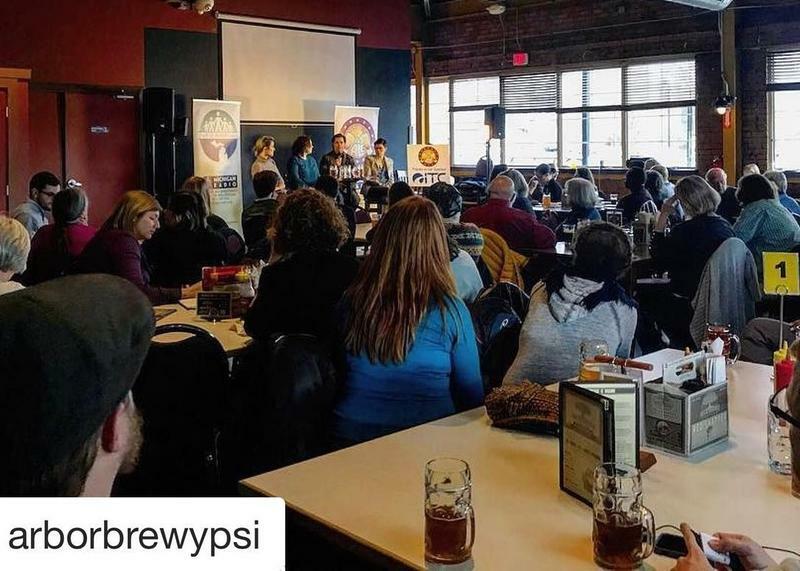 He asked the audience – a full house at Jolly Pumpkin Dexter’s brewery – to raise their hands if they have a personal connection to mental health or mental illness. Most every hand went up. Mass shootings, like the one last week in Florida, can leave some people feeling nervous. While mass shootings don’t happen every day, car accidents and industrial accidents do. With all that in mind, hospitals around the country are putting on free workshops to teach people how to prevent someone from bleeding to death. A conversation on Stateside between Katie Byrd, Taylor Williams, and Nadia Davis, three seniors from Belleville High School and co-founders of their school's Gender Consciousness Project. 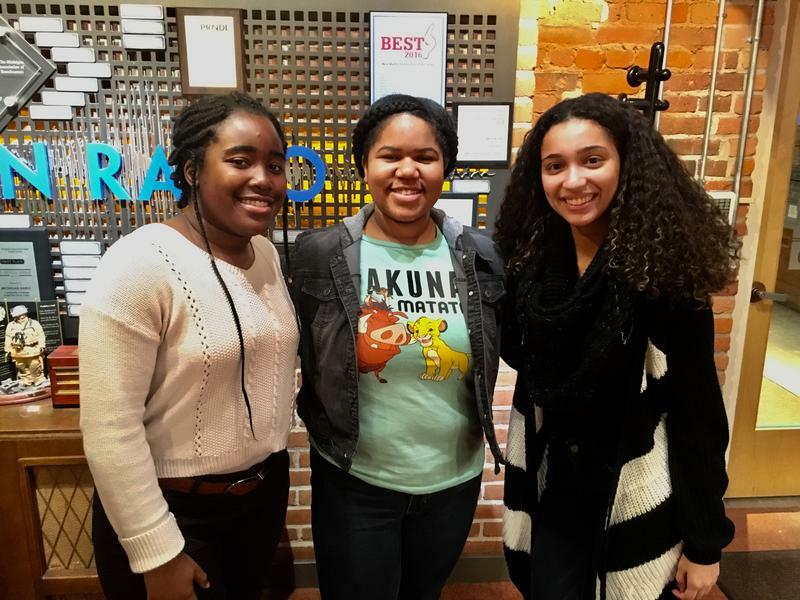 Today on Stateside, we turned the microphones over to Katie Byrd, Taylor Williams, and Nadia Davis, three seniors from Belleville High School. They’re participants in the Gender Consciousness Project, a women’s empowerment group for high schoolers in the greater Detroit area. Our Issues & Ale conversation: Monday, Jan. 22, 6:30-8 p.m. at HopCat in Royal Oak. The many elections of 2018 could stir up a big political year in Michigan. 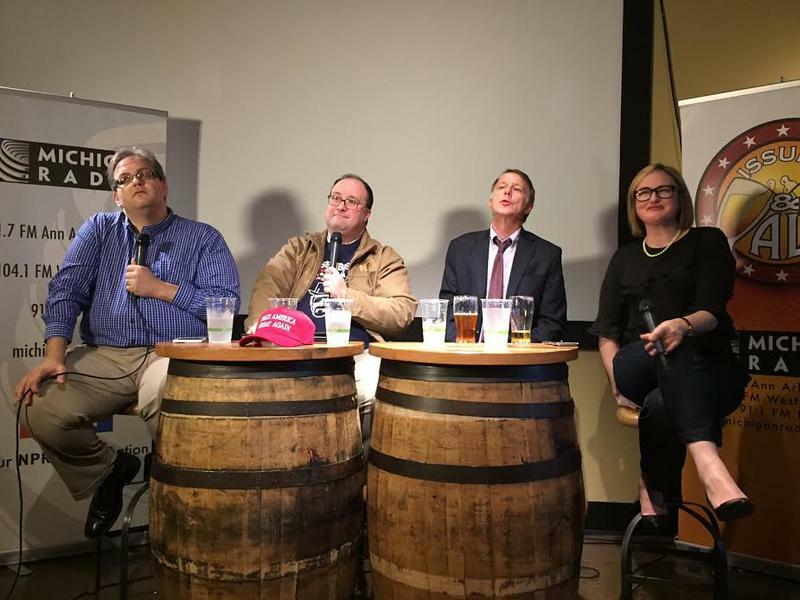 Issues & Ale, an event series from Michigan Radio, hit HopCat in Royal Oak Monday night to discuss the political balls up in the air this year – and why they could spell excitement to come. Our Issues & Ale conversation: Monday, Nov. 20, 6:30-8 p.m. at Zingerman's Greyline in Ann Arbor. 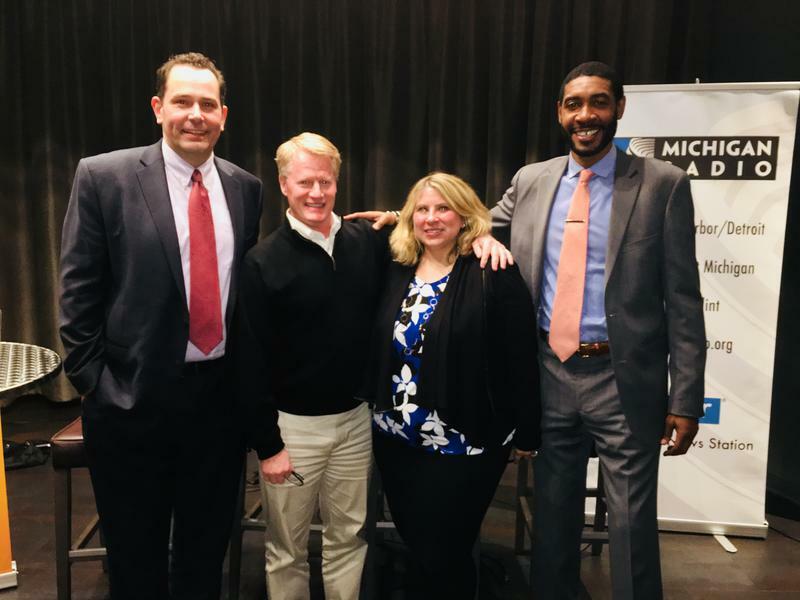 Monday night’s Issues & Ale event dove into the complicated world of sports – where players kneel during the national anthem, college students get payoffs, and misinformation swells around concussions and other injuries. Our Issues & Ale conversation: Wednesday, Sept. 27, 6:30-8 p.m. at Arcadia Brewing in Kalamazoo. 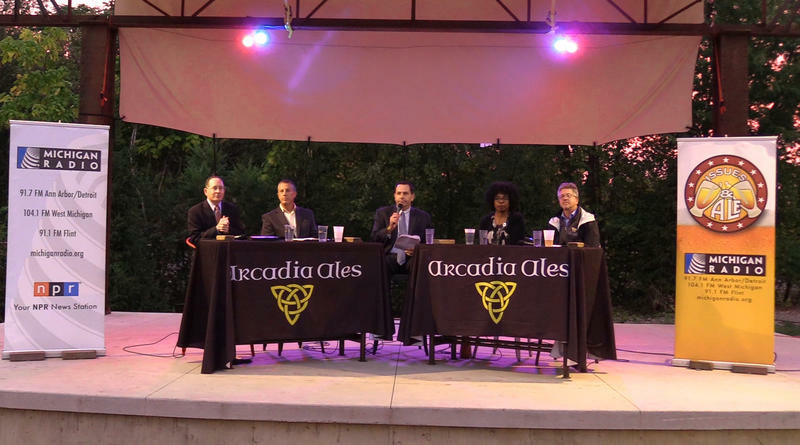 As the sun began to set at Kalamazoo’s Arcadia Brewing on Wednesday night, Michigan Radio’s Doug Tribou started a conversation with pub-goers about the future of public education in our state. The United States plans to withdraw from the Paris Climate Accord. So what happens now? Our Issues & Ale conversation: Tuesday, Aug. 15, 6-7:30 p.m. at Bill's Beer Garden in Ann Arbor. President Donald Trump has announced the United States will withdraw from the Paris Climate Accord. If Trump follows through on those plans, the country would pull out of the international agreement in November 2020. So what does that mean for Michigan, both now and in the future? 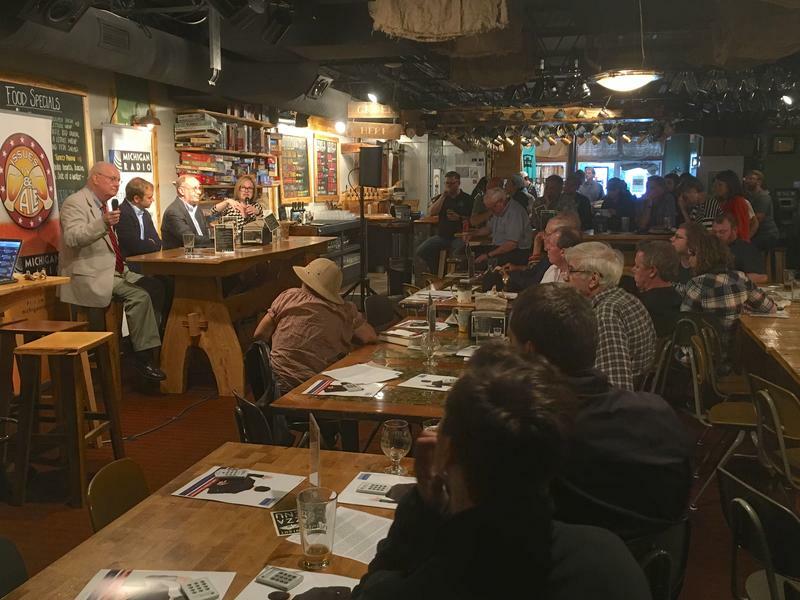 As part of Michigan Radio’s Issues & Ale event series, climate experts gathered on Tuesday night at Bill’s Beer Garden in Ann Arbor to discuss just that. Our Issues & Ale conversation: Monday, July 17, 6:30-8 p.m. at Northern Lights Lounge in Detroit. 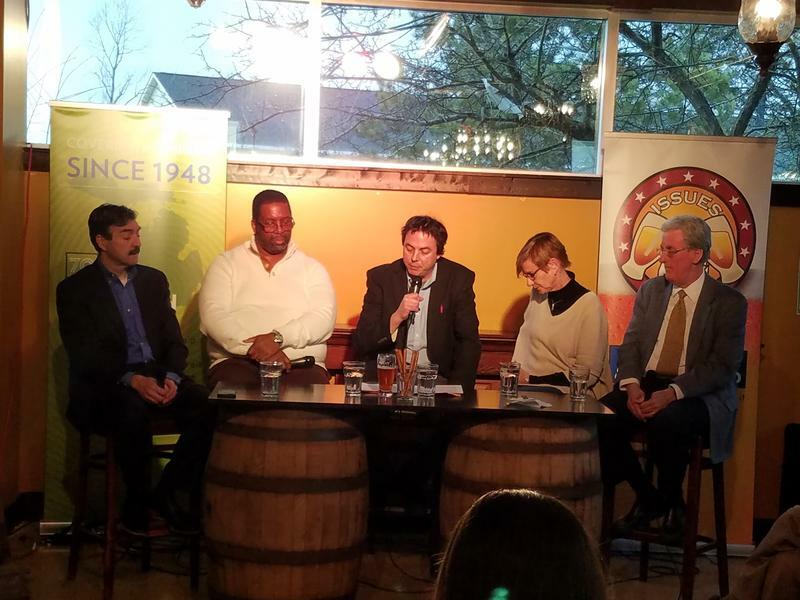 Monday night’s Issues & Ale event plunged back in time to the days surrounding the 1967 rebellion – the historic conflict between citizens and police that led to 43 deaths and thousands of buildings destroyed during five summer days in Detroit. Our Issues & Ale conversation: Wednesday, June 14, 5:30-7 p.m. at the Ann Arbor Summer Festival. Michigan Radio’s It’s Just Politics team took over a tent at the Ann Arbor Summer Festival last night for an Issues & Ale event. Co-hosts Zoe Clark and Rick Pluta joined panelists Chris Kolb, president of the Michigan Environmental Council, and Colleen Pero, chief of staff for the Michigan Republican Party, to talk about the latest political news in our state. Our Issues & Ale conversation: Monday, May 22, 6:30-8 p.m. at Celebration Cinema North in Grand Rapids. President Donald Trump has now been in office for more than 120 days. To assess how Trump’s presidency has gone so far, Jack Lessenberry, Michigan Radio’s senior political analyst, hosted Issues & Ale-President Trump: A Michigan Report Card. Our Issues & Ale conversation: Tuesday, April 25, 6:30-8 p.m. at Bell's Brewery in Kalamazoo. 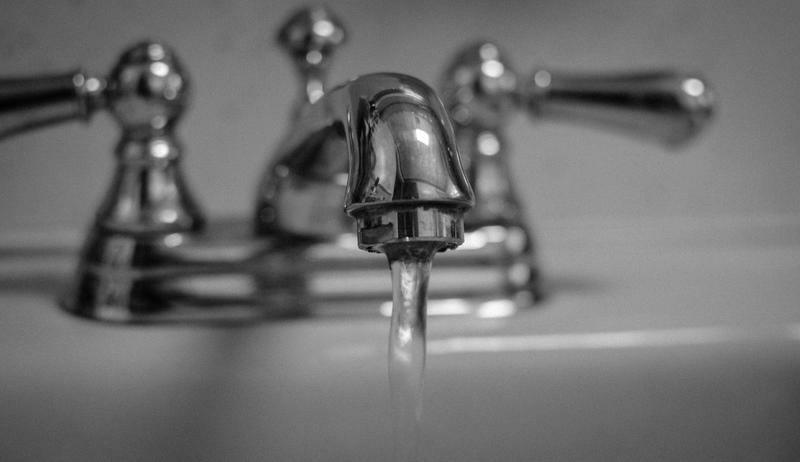 What questions do you have about Michigan's drinking water? 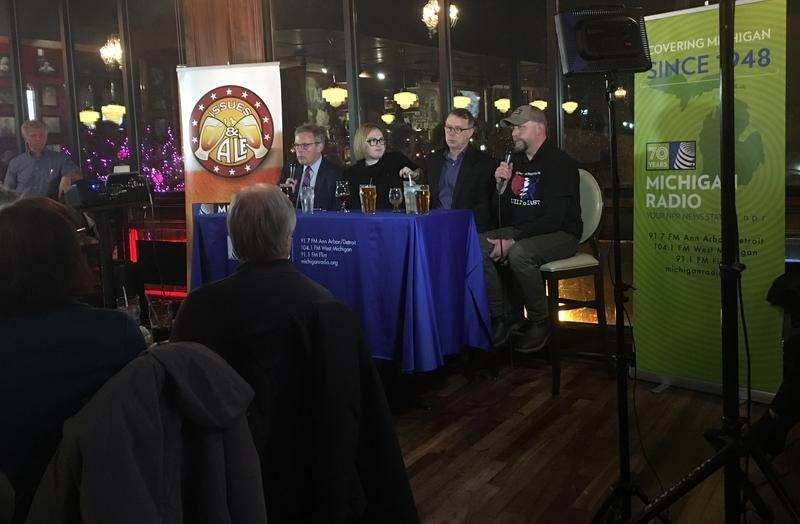 Michigan Radio's Issues & Ale series will stop at Bell's Brewery on Tuesday, April 25 from 6:30-8 p.m. to talk about the challenges facing Michigan's drinking water. From water diversion and pollution to our aging infrastructure system, the Environment Report's Rebecca Williams will lead a panel of experts through a conversation about some of the biggest threats. We want to make sure that conversation answers your biggest questions. So what do you want to know about drinking water in Michigan? 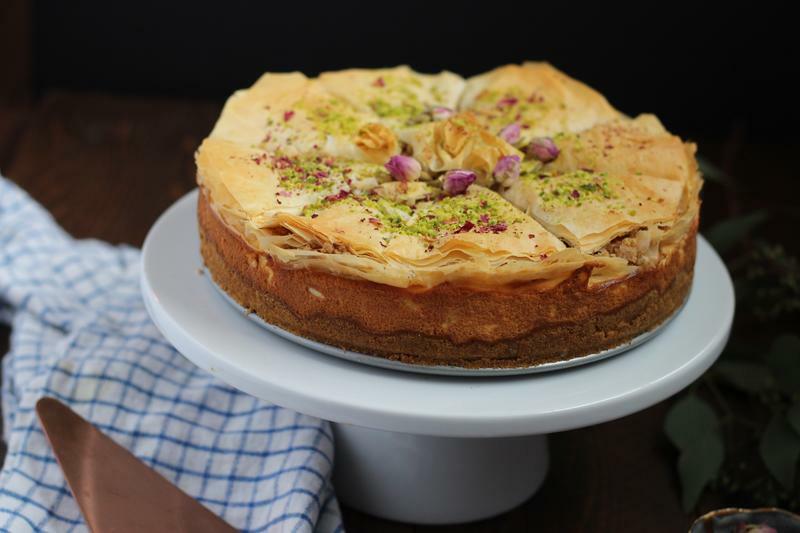 Stateside's conversation with Bassie Shemtov, director of Friendship Circle. You'll also hear an audio postcard from Stateside's visit to the Farber Soul Center. You create a special space for children with special needs: the Friendship Circle. It’s a great success, but what do you offer those children when they grow up? Our Issues & Ale conversation: Tuesday, April 11, 6:30-8 p.m. at Arbor Brewing Company Microbrewery in Ypsilanti. State of Opportunity took Michigan Radio’s Issues & Ale stage for the final time last night at Ypsilanti’s ABC Microbrewery. The project wraps up at the end of April after five years of stories about the barriers to success low-income kids and their families face in Michigan. The possessive “s” could be in danger. At least, that’s what linguist Anne Curzan says. What state is journalism in today? 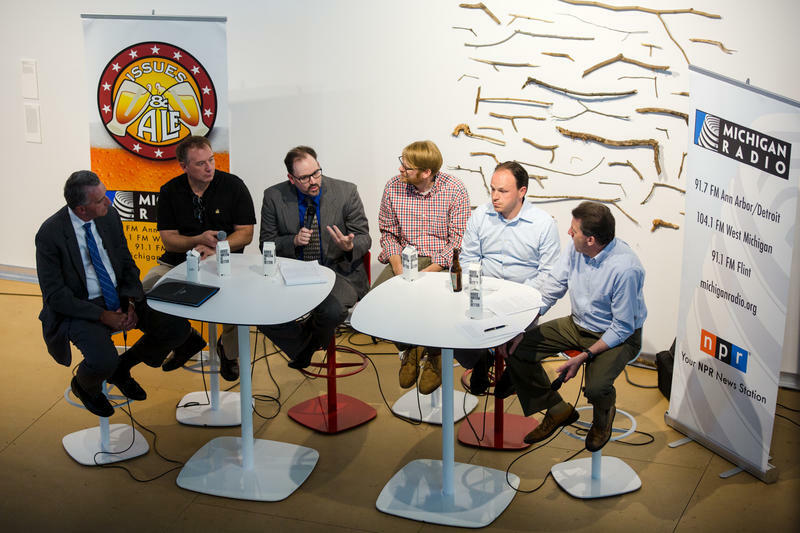 That’s how Monday night’s Issues & Ale panelists described journalism in today’s ecosystem. Walk into Marvin’s Marvelous Mechanical Museum in Farmington Hills and you’re immersed in a cacophony of beeps, airplane motors and singing flamingos. 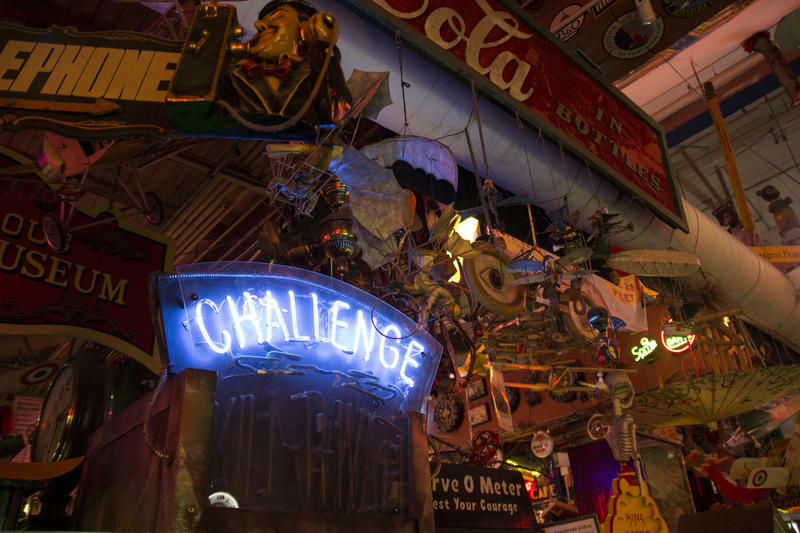 Every nook, cranny and space on the wall is filled with arcade games, coin-operated machines and peculiar figurines with questionable purposes. Think of the Zoltar machine that turns a boy into Tom Hanks in the movie “Big” and then multiply it tenfold. Marvin Yagoda, the museum’s founder, is responsible for the fantastic mess. He started the collection in 1960 and the jam-packed space shows how it’s grown to become one of the World Almanac’s 100 most unusual museums in the U.S. But last week, Yagoda died at 78 years old. One of the most divisive elections in our country’s history is now in the rear-view mirror. At Monday night’s Issues & Ale Pundit Summit, we debriefed and began to look forward into the new political climate established on Nov. 8. With a week to go before election night, discussing politics over drinks seemed a good idea Tuesday night. 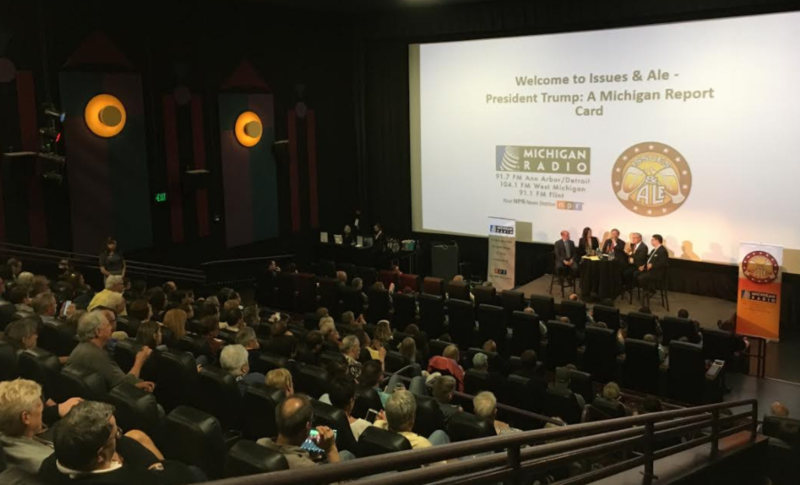 That’s when Michigan Radio held its final Issues & Ale election preview event before the fateful Nov. 8. The event took place at HopCat in Detroit and Michigan Radio’s senior news analyst Jack Lessenberry hosted. Panelists were Brandon Dillon, chair of the Michigan Democratic Party, Aaron Foley, editor of BLAC Detroit Magazine, Republican consultant Stu Sandler and Zoe Clark, co-host of Michigan Radio’s It’s Just Politics. While conversation moved through various topics, all of which related to the ballot Michigan voters will see next Tuesday, one idea continued to take the forefront: the polarization this election has caused between people in this country. On Monday night, Michigan Radio’s It’s Just Politics team hit the road again for the second Issues & Ale election preview event of the season. Today is Yom Kippur, the Day of Atonement. It’s the holiest day on the Jewish calendar. Many Jews spend the day praying and fasting, seeking forgiveness from God and fellow man. 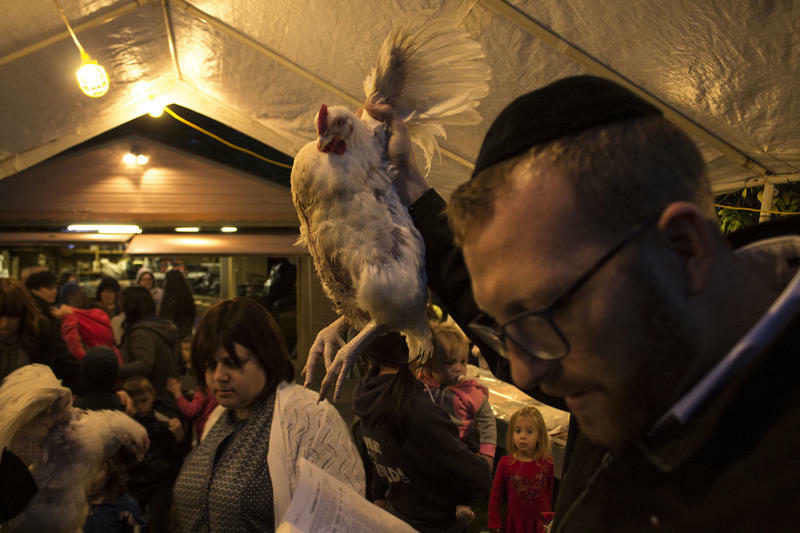 In the days leading up to Yom Kippur, some observant Jews perform kapparot, a ritual involving live chickens. Each person swings a chicken over their head and says a prayer. Afterward, the chickens are taken elsewhere to be processed and donated as food for those who need it. We kicked off our first Issues & Ale event of the election season Monday night at the Beer Grotto in Lansing. If there’s an unwanted thicket in your backyard, you know getting rid of it isn’t easy. Bushes, shrubs and invasive species can be in hard-to-reach places. And beating down the weeds once, with bobcats or brushcutters, doesn’t mean they won’t sprout up again later. 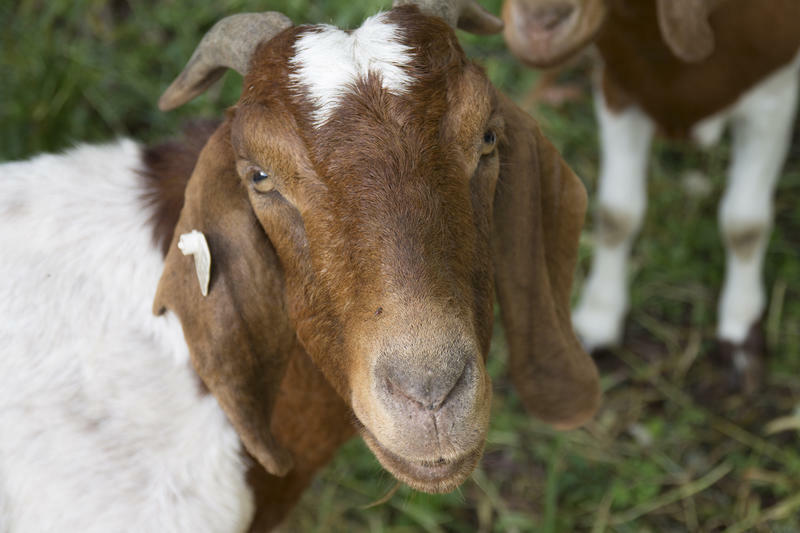 That’s why father-son duo Mike and Doug Mourer of Twin Willow Ranch have been working their way around southeast Michigan with goats in tow. 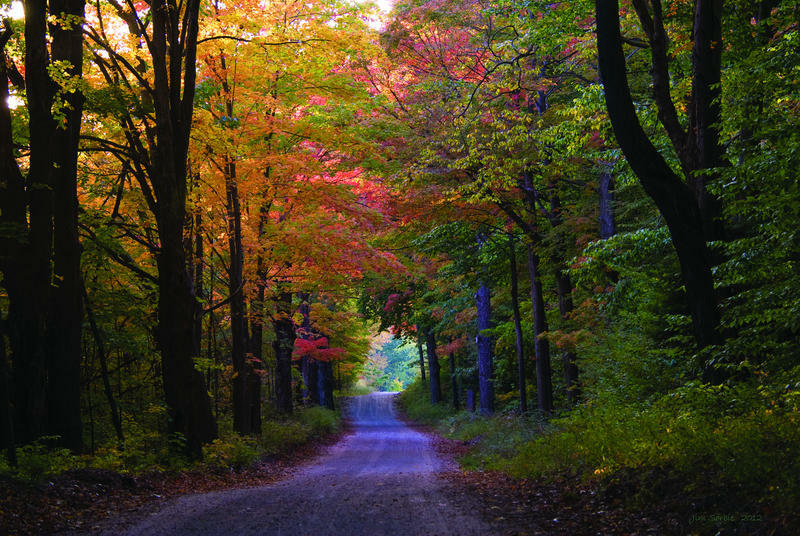 Are you happy to say hello to fall, or more sorry to say goodbye to summer? It's that time of year again: the end of summer. The nights are getting colder, the days are getting shorter. And today is the fall equinox. How do you feel about it? Are you happy to say hello to fall, or more sorry to say goodbye to summer? Stateside's Lindsey Scullen reports from United Shore's dance floor. So many people spend their days sitting – and sitting a lot. People who work desk jobs might spend a minimum of eight hours a day sitting hunched over a desk. I’m doing it now as I write. Experts like Rebecca Hasson, an assistant professor at the University of Michigan Schools of Kinesiology and Public Health, say this much sitting could increase risk of cardiovascular disease, type two diabetes, and even cancer. So, some companies are taking strides to keep employees moving throughout the day. Some have gyms onsite. Some hand out Fitbits. And then there’s United Shore, a wholesale mortgage company in Troy. 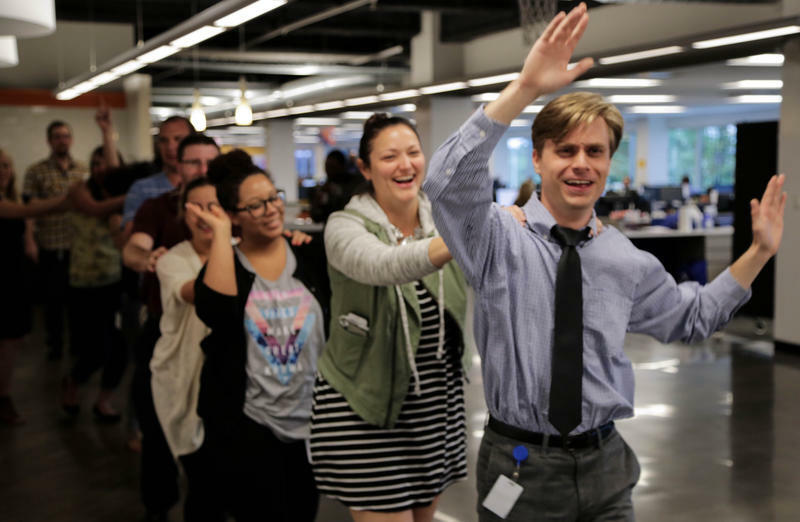 Employees there take a 15-minute dance break every Thursday at three. One Well Brewing in Kalamazoo opened its doors Tuesday night for Michigan Radio’s latest rendition of Issues & Ale, our community conversation event series. 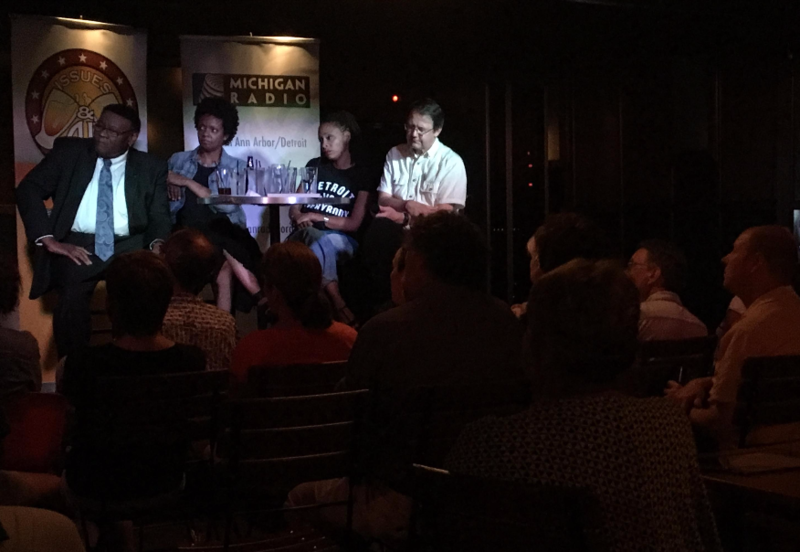 For the second time this summer, Michigan Radio and the Center for Michigan met up with listeners to discuss why trust in government is eroding in our state – and how that trust might be restored. What would it take to restore trust in state government? Listen to our full Issues & Ale discussion on restoring trust in public government. On Tuesday, we sipped Brewery Becker’s “historic” ales and lagers while discussing a similarly historic topic: public trust in state government. 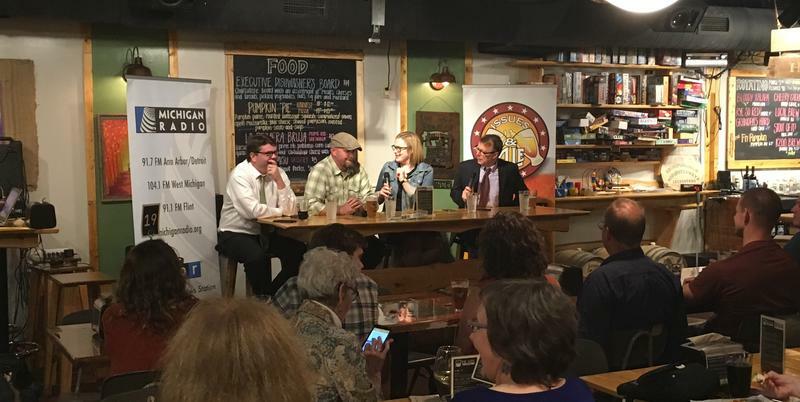 The Flint water crisis, gerrymandering, term limits, campaign money and more were on the minds of audience members and panelists at our Issues & Ale event.